Since mid-February, GM has recalled 2.6 million older-model Chevrolet Cobalts, Saturn Ions and other small vehicles because the ignition can slip out of the “run” position and shut down the engine, which can disable the power steering, brakes, and air bags. While GM has officially reported 13 fatalities stemming from the defect, some attorneys and safety experts have said the death toll could be much higher. Ami Gadhia, senior policy counsel for Consumers Union, the public policy and advocacy division of Consumer Reports, said, “The report and the dismissals are the latest steps by GM to try to address this debacle, but there are still unanswered questions about how the company allowed these problems to persist for so long. 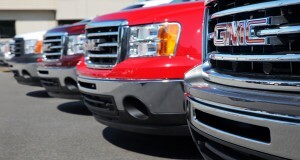 “This report is not the end of the road for GM. A Justice Department investigation is ongoing. The automaker has reportedly handed over to Congress a million pages of documents to review, and we expect more hearings on Capitol Hill this summer. “GM has said it will compensate the families whose loved ones were killed and those who suffered serious injuries, but we were expecting to hear more specifics about how and when. So far, it’s mostly promises that the automaker will do the right thing. We’re going to keep pressing GM to follow through and make good on its commitments.